It is true that 90% of all plastic surgery patients are women, but men have kept up their demand as well. Plastic surgery helps men and women in different ways. There are procedures that allow women to achieve a more feminine look and men to gain more masculine results. Many facial plastic surgery procedures are designed to reverse the signs of aging, and growing old is certainly not discriminated by gender. While you’ve probably heard of a “mommy makeover”, it is worth giving the dads some attention too with male plastic surgery. When seeking a “daddy makeover” to restore youth or define your masculinity, there are numerous surgical and non-surgical options from an experienced facial plastic surgeon. Just like women, men also battle unwanted signs of aging in the face. From frown lines to sagging jowls, there are solutions in plastic surgery to address these aesthetic concerns in males. One of the most commonly requested non-surgical options are injectables and dermal fillers. Botox or Dysport treatments can significantly reduce frown lines. These are the lines that form between the brows when we frown, concentrate or squint. Unfortunately, these lines can make men look angry and less approachable. A simple injection into the affected facial muscle can relax the central brow and reduce the ability to frown. Dermal fillers are also used on both men and women to fill unwanted wrinkles. Restylane and Juvederm can soften deep naso-labial folds that are commonly found on older men. These are the folds that extend from the sides of the nose around the corners of the mouth. A plastic surgeon that is experienced in male procedures understands the ideal limitations with dermal fillers. Naso-labial folds can produce a masculine appearance but softening them slightly will result in a more rested and rejuvenated look. While dermal fillers are excellent to reduce or eliminate fine lines and wrinkles, they can also create features that are more desirable in men. For example, stronger and more masculine cheeks, chins and noses can be created with the use of dermal fillers. Popular surgical procedures in facial plastic surgery include face lifts, eyelid lifts, brow lifts, rhinoplasty. It is important for men to understand that these procedures are adjusted and modified for male patients to create a distinguished and masculine look. Men tend to have lower brows, stronger chins, larger noses and heavier upper eyelids than women. These traits are all considered when choosing male facial plastic surgery. Male Blepharoplasty, or a male eyelid lift, is one of the most common choices among men, and one that can instantly reverse a tired, sad or aged appearance. It can also improve vision for men whose sagging upper eyelid skin is blocking their sight. Lower eyelid surgery can also be selected to reduce bags under the eyes. 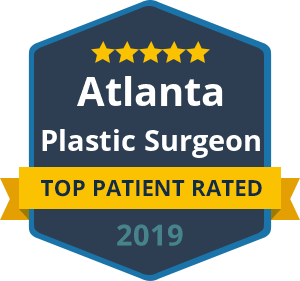 Whether you simply want to gain a more rejuvenated and youthful look or you are considering rhinoplasty to finally correct a nose injury you suffered during college sports, there is a full spectrum of options available to you as a man seeking plastic surgery. What would you like to accomplish in your “daddy makeover”?